Master writing a major business document with an accelerated online course plus live expert coaching specifically on your document. Every mid-to-senior level business position requires writing important, but challenging, documents — performance appraisals, annual division achievement reports, sales plans, business plans, product value propositions, regulatory reports, sales email templates, white papers, etc. Break through any blocks and write an impressive, clear document that advances your career. 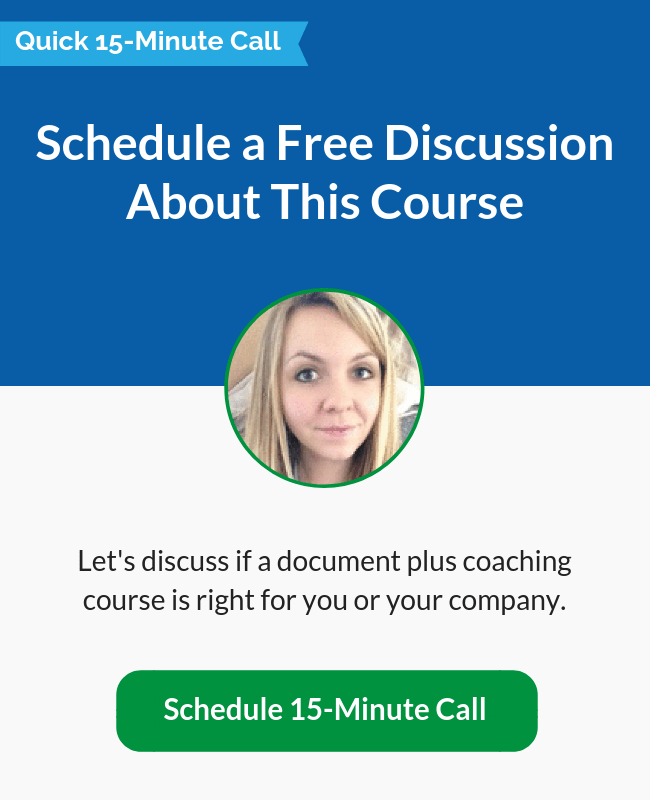 This course + coaching model is an ideal way to master a major document requirement, hone business writing skills, and receive individual business writing coaching. Coaching will be fully focused on the major document you need to write. How to write efficiently, target a reader and elicit a positive business response from all documents. Spend 30% less time on each document by following this process. The second portion of the course is practice and feedback: Complete one email writing exercise and receive award-winning instructor feedback on your writing, specific to your course goals. The third portion of the course addresses language and style: brevity, clarity, grammar, language flow, etc. Learn to write concisely and cleanly. The course concludes with instructor feedback on the outline of your major document. After completing the course, you will earn a personalized certificate. You can display your certificate in the certification section of your LinkedIn profile, download to print, or mention in your résumé. I needed specific help with an important document. In addition to learning how to write a very compelling business plan, I also improved my overall business writing skills. Both the course and coach were extremely helpful. I learned the process to write my performance appraisal (and all other business documents I write.) The coaching was incredibly helpful. I discovered gaps and repetitive statements, and my coach helped me use more confident langauge. My boss was very impressed. And, he began talking about a promotion this year. 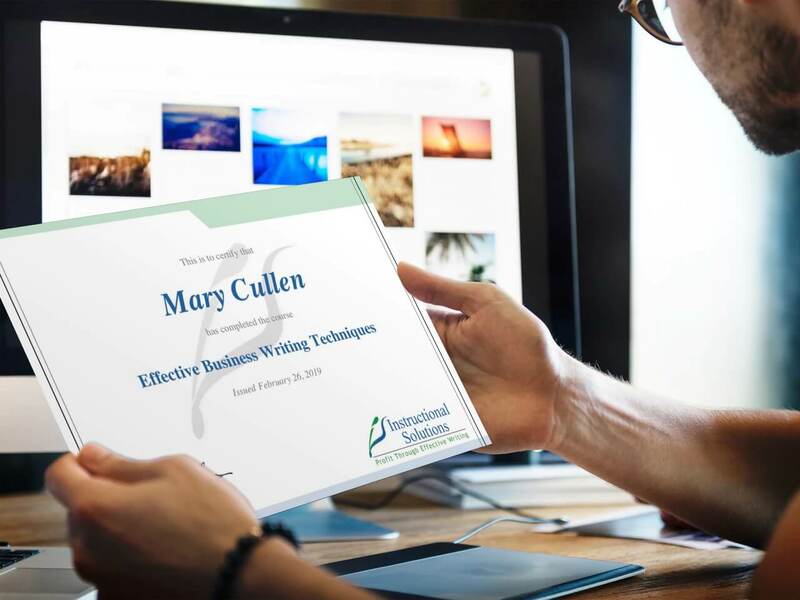 Mary founded Instructional Solutions in 1998, and is an internationally recognized business writing trainer and executive writing coach with two decades of experience helping thousands of individuals and businesses master the strategic skill of business writing. 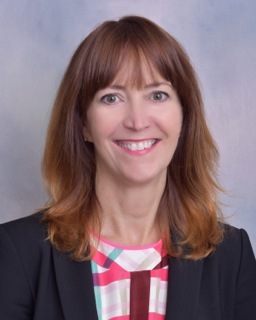 She excels at designing customized business writing training programs to maximize productivity, advance business objectives, and convey complex information. 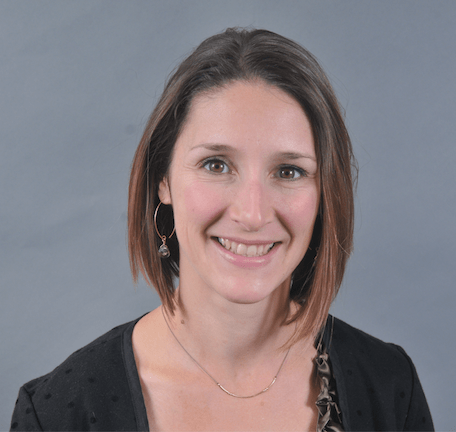 Mary leads the project management and instructional design on customized courses. She also personally teaches the first courses launched for a client, and trains the instructors who lead ongoing training. She holds a B.A. in English from the University of Rhode Island, a M.A. in English Literature from Boston College, and a C.A.G.S. in Composition and Rhetoric from the University of New Hampshire. She lives in Princeton, New Jersey where she enjoys yoga, running, cooking, tinkering with new technologies, and most especially her family. Katie is an experienced English as a Second Language instructor, tutor, and teacher trainer. She is currently teaching Business Communication and Academic Writing at the University of Massachusetts Boston. She is very skilled at evaluating both the substance and language of business documents. Her writing critiques and instruction have received stellar evaluations from our clients at DuPont, Liberty Mutual, and Greenwood Resources. She holds a B.A. in Journalism from the University of Rhode Island and an M.A. in Applied Linguistics from the University of Massachusetts Boston. She loves to travel, has intermediate level Spanish skills, and is working on her French for her next trip. She lives in Boston when she is not traveling. Tom specializes in technical writing and is particularly interested in analytical and financial writing, as well as synthesizing strong executive summaries. He currently teaches Business Communication at Rutgers University. He holds a B.A. in Business Administration and English from Reed College, and a M.A. in Communications from the University of Colorado. He has successfully supported our clients from Boeing, FedEx, and the US Army. He loves hiking, gardening, the power of language, and lives in the nature of the Hudson Valley, outside of New York City.